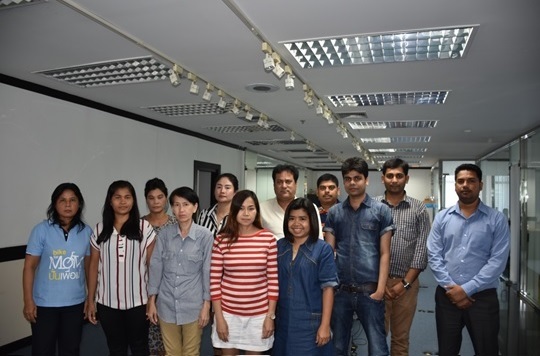 STS Gems Thailand handles the sourcing operations of the VGL Group. Thailand is a hub for plain jewellery and for stones such as ruby and sapphire. Group’s ruby and sapphire requirements are fulfilled by STS Gems Thailand. 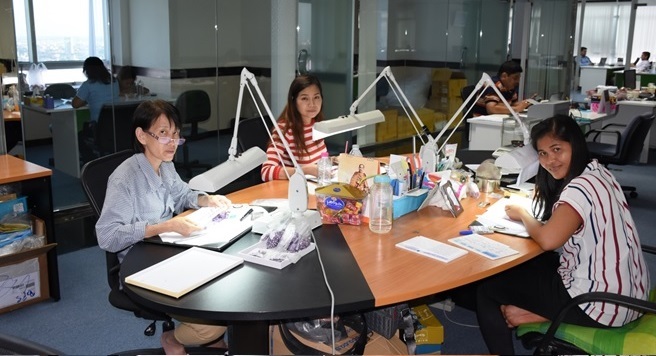 Other than abovementioned stones, artisan crafted jewelry of Thailand is also very famous and is sourced from here. We at VGL fully realize the fact that all work and no play makes jack a dull boy. We, therefore, ensure that our employees are not overworked and approach every assignment with zeal and enthusiasm. We conduct a number of activities that keep our employees in high spirits and fresh for any assignment. Some of the activities that we conduct from time to time are listed below. Saturday Fun: Every Saturday the departments at Vaibhav Global take time off from their work and indulge in fun activity for two hours. This breaks the monotony of nonstop work of the entire week and brings in much needed enjoyment and laughter for the employees. Needless to say, this is one event that is eagerly awaited by ever VGL family member. Periodic Competitions: Every festival at VGL is greeted by competition amongst employees. These are theme based competitions and give the employees plenty of opportunity to showcase their creative side. Team Outings/Dinner: This is another very popular activity that is looked up to by every VGL employee. Such an event sees the participation by every member of the department. This provides wonderful opportunity to every team member to know each other outside office confines. These are events where official hierarchy is flattened and people meet each other in a very informal and cordial environment. No wonder team outings and team dinners are occasions which have seen lasting friendships being formed. Opportunities: What makes us different from other big, small organizations is the fact that we do not believe in laying off our employees. We believe that every individual has certain qualities. He/she might not be performing in a particular role but might just have immense potential for something else. We are, therefore, always open to absorb people in assignments that even they did not think they were capable of. Skill Upgradation: We also give ample opportunity to our employees to enhance and upgrade their skills which keep them at par with their colleagues in this rapidly changing and extremely competitive world of modern times.